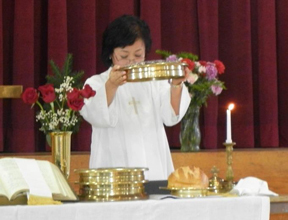 Holy Communion is the first Sunday of each month. Please contact Rev. Yoomi Yi to make arrangements. of Jesus Christ, our Lord and Savior. to our faith, through both word and action to all people. our presence, our gifts, and our service.